The first time I tried these Oreo Brownies was at our friends 4th of July party. 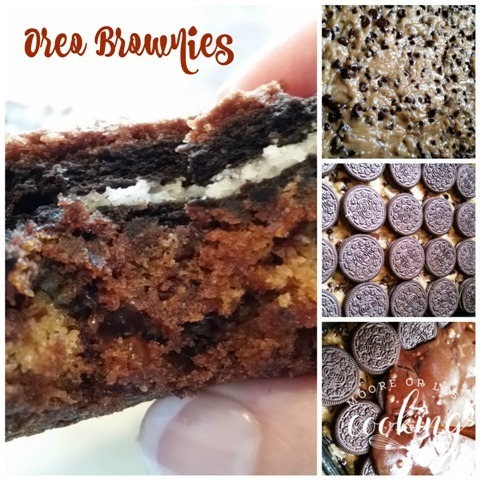 They are amazing with a layer of chocolate chip cookie on the bottom, an Oreo center layer and a Brownie layer on top! I couldn’t wait to make these for my kids. I doubled the recipe so that there would be 24 brownies, perfect for a potluck. Everybody loves brownies and these are the BEST BROWNIES EVER!! 1st layer: Cookie Dough. I added extra mini chocolate chips and vanilla for more flavor! 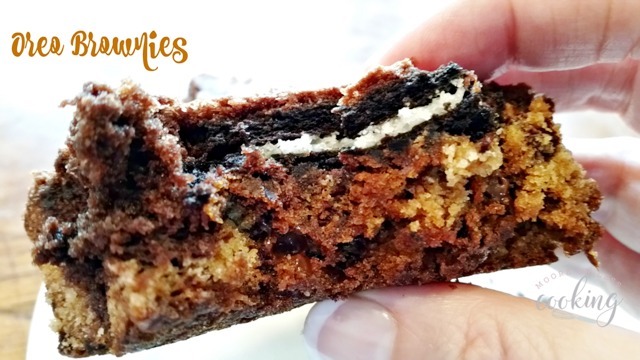 Three wonderful layers makes amazing Oreo Brownies!! Let cool before cutting so that the brownies don’t fall apart. 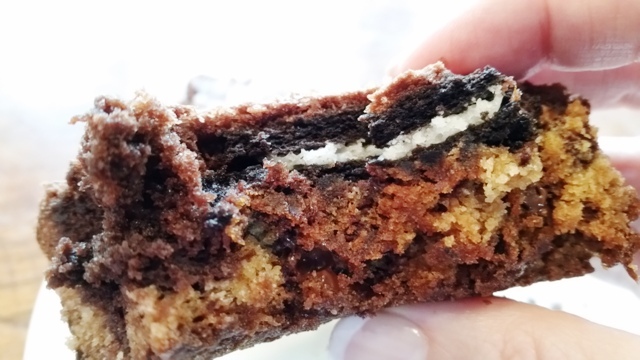 Check out those beautiful layers of Cookie dough, Oreos and Brownies! I just want to take a big bite!! Spray a 13" x 9" cake pan with Pam spray. Set aside. In a mixing bowl, combine chocolate chip cookie mix with required ingredients and follow the package instructions for making the cookie batter. Add vanilla extract and some extra chocolate chips to the batter, to make the cookie dough even better. 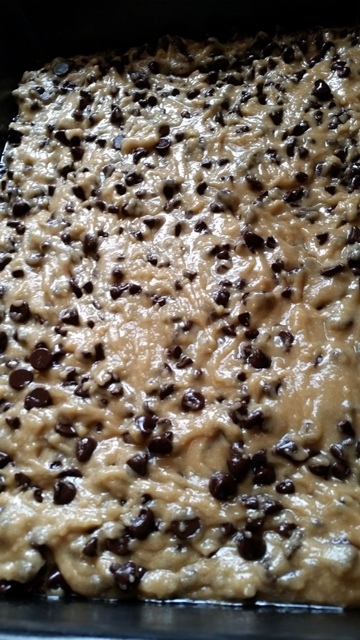 When chocolate chip cookie dough is combined spoon it into the baking dish and spread out creating a thin, bottom layer. Next, layer Oreo cookies side by side on top of the chocolate chip cookie dough. In a separate bowl, combine fudge brownie mix and required ingredients. Follow package instructions on how to prepare the brownie batter. 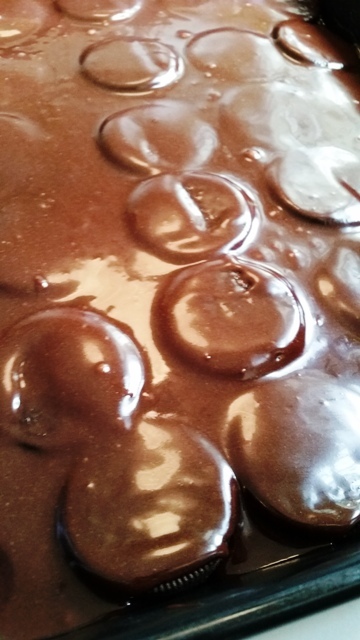 Once brownie batter is thoroughly combined pour the batter over the Oreo layer in the baking dish. 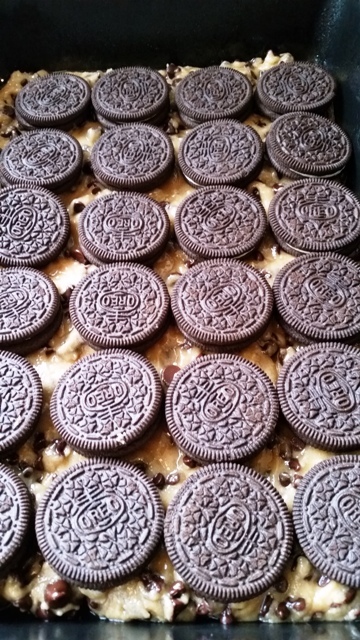 When pouring batter, it should fill in all the cracks and spread over all the Oreos. Bake 30 minutes or until a toothpick inserted through the center comes out clean. Allow to cool and set for at least 30 minutes before cutting and serving. 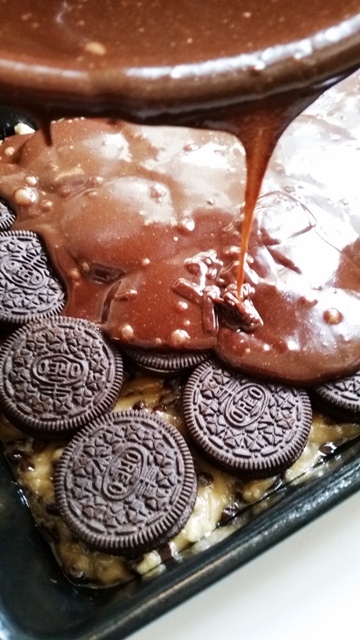 Oh my goodness…I am swooning here…..
Oreos AND extra chocolate! I’m on my way! I will always share with you Cindy! Bars like this never go out of style! 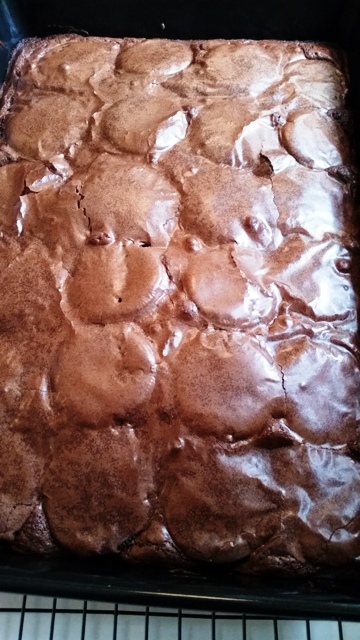 These brownies are so addictive!